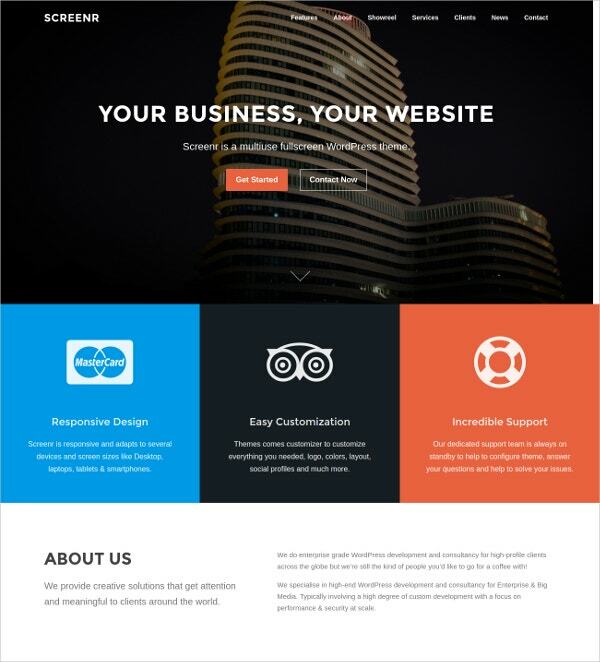 This multiuse full screen WordPress theme is very business-like with its features. With it highly responsive design and easy customization, it will only take you a little time in creating your website. 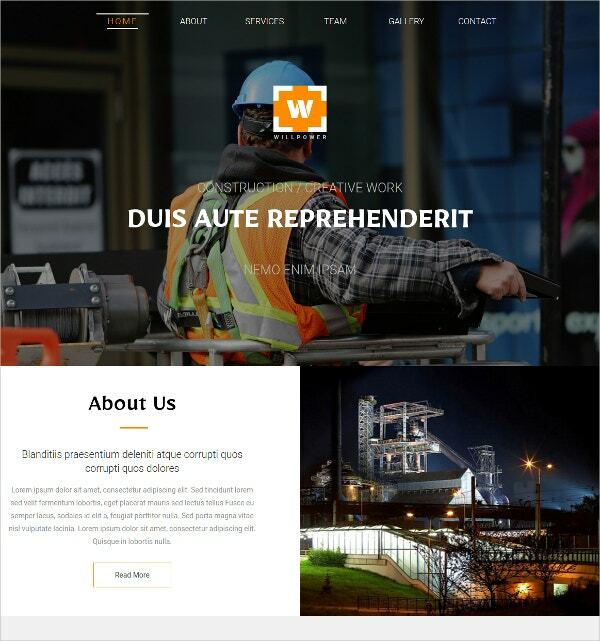 The look of this theme is very corporate and that makes it perfect for office websites. 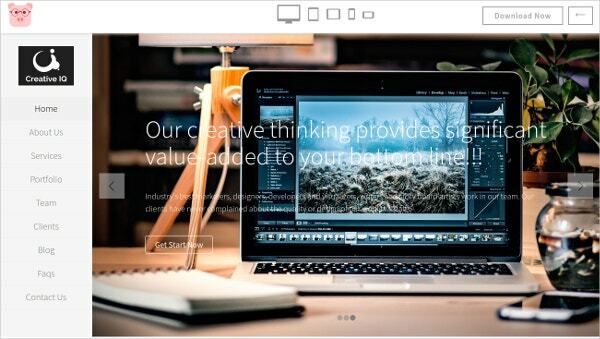 You may also see Free HTML5 Templates. The creator of this template has people who like clean and simple templates in mind. There’s nothing fancy about this template but its minimal design is actually what makes people like it. Because of the many module positions available, you can customize the module styles in any way you want. 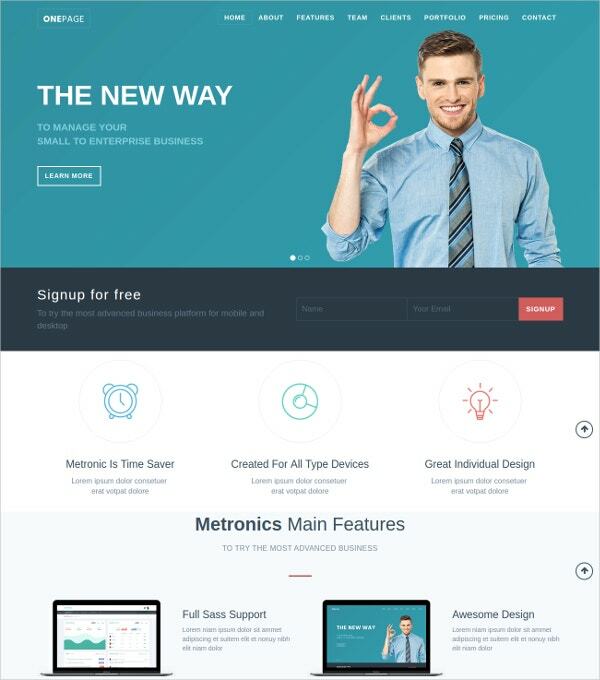 You can also see Free Business WordPress Templates. If you like classy and modern layouts then you’ll fall in love with Decentium. 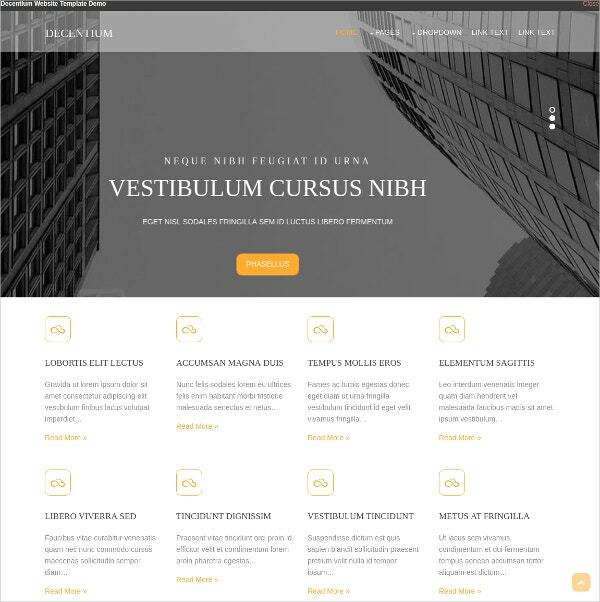 This theme maintains its business look and uses an HTML5 doctype. The colors range from light to dark gray that will actually make you think of business suits. What more to ask from a professional website design? 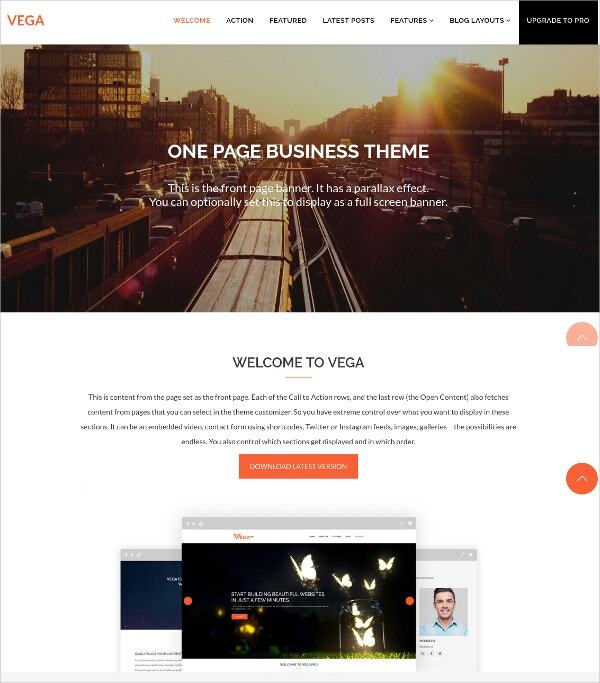 Vega is a multipurpose theme that you can use for any type of blog or small business website. It has a one-page theme and three pre-built color choices. With its multiple homepage display options, you don’t have to choose to feature only one homepage. This will totally make your website more interesting. This one page layouts boasts of presenting all your content in just one page. Who needs multiple pages when you can showcase everything in one page, right? OnePage Lite is classy and gets direct to the point. Whit this layout, make your audience focus on content rather than design. Sometimes, having a theme that isn’t as fancy as a colorful rainbow makes the website more respectable. If this is what you are aiming for then this theme is right for you. Suri is a search engine optimized, minimal theme that maintains class and standards. If you’re a musically inclined artists or you enjoy making videos then this theme is a great way to showcase your talent. 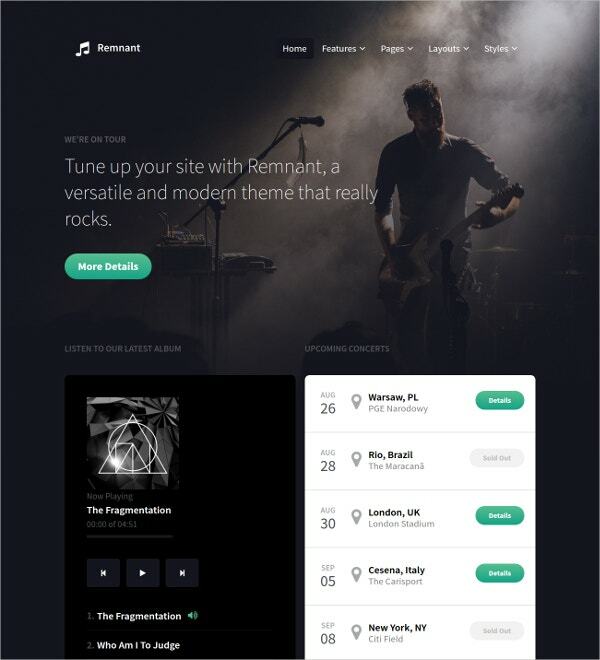 Rocket Theme’s smoky vibe best suits musicians or even music lovers so they can easily post their stuff online. This theme supports Soundcloud, external and local audio files. Supershop is ideal for small business websites who love selling their stuff online. 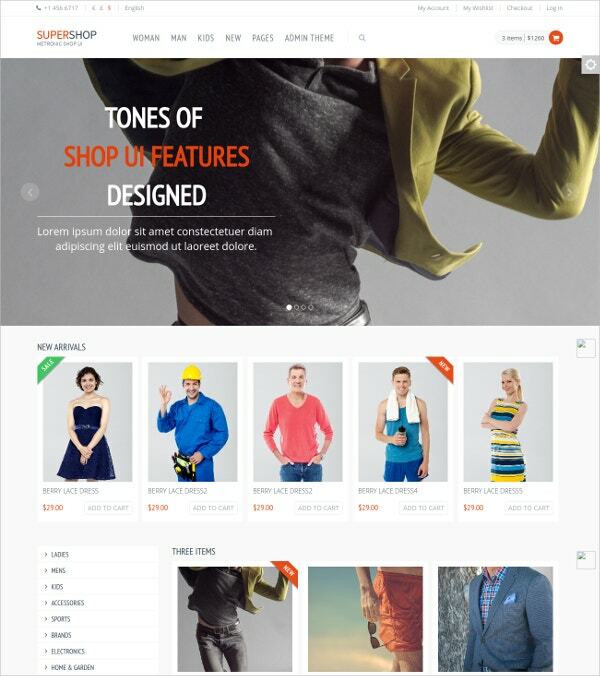 With this theme, your target audience will have a nice time browsing your items. The most important thing about eCommerce sites is to showcase all your goodies. This is certainly what Supershop promises to do for you. With so many things to share about all your travels, it’s important to have a website where you can keep track of all the places you’ve been to, people you’ve seen, food you’ve enjoyed, and experiences you’ve had. With Expedition, sharing the things you love will be a whole lot easier. One of the secrets to having a popular and well-loved restaurant is having a nice, accommodating website that has details about your services and other vital information about your business that you love to share. 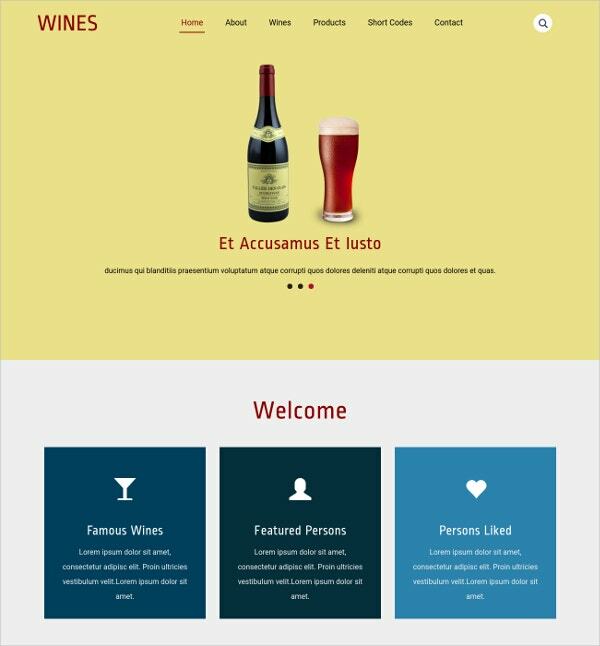 With the perfectly named Wines template, it will be exciting for your viewers to read about you. 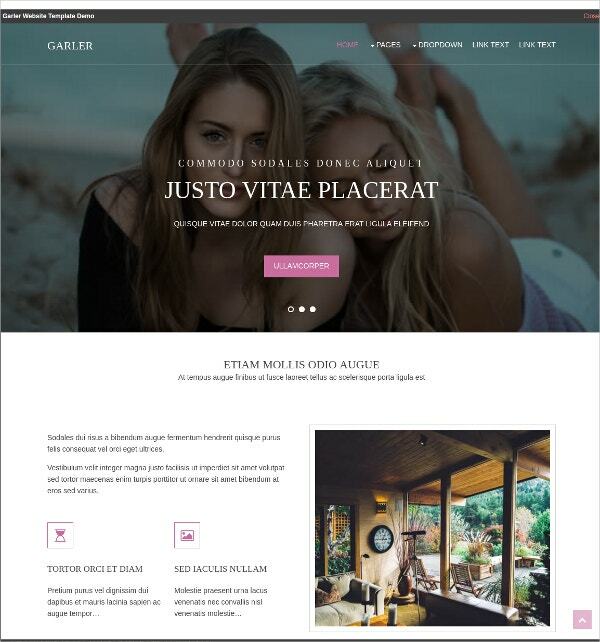 Garler is a highly responsive, stylish website theme that is perfect for personal websites or any type of website you can think of. This template looks refreshing and cool to the eyes because of the bluish effect. You’ll also love the pink accents in spite of all the greys and black. Boatdealer will make you think of the sea and luxury cruises. 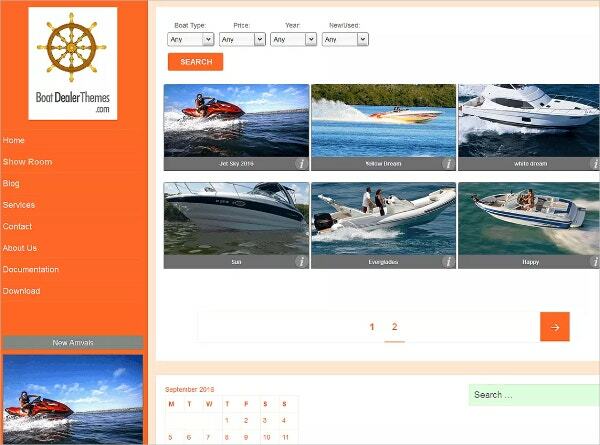 This theme is specially designed for the nautical person inside you. We think it’s perfect for sharing ocean escapades but it also works well for websites that sell stuff that are related to the ocean. This is a multipurpose double-menu theme. 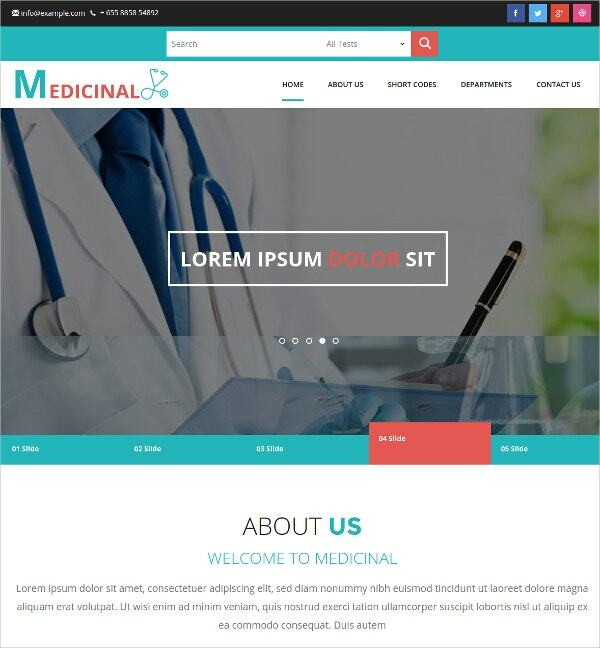 True to its name, Medicinal belongs to the medical category of website themes. This website theme is visually pleasing and aims to bring good news and happiness to its target audience. Even the website theme colors look clean and sanitized just like your local friendly hospitals. Medicinal also works for other websites. If you’re a budding artist or even if you’re already a professional, this theme will be perfect in showcasing your photographs and artworks. 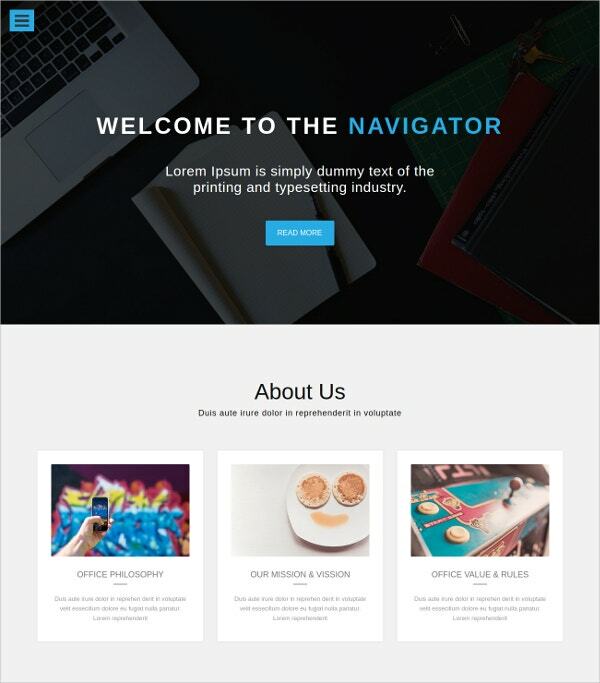 Navigator presents your works in an organized manner so your audience wouldn’t have a hard time navigating your website. 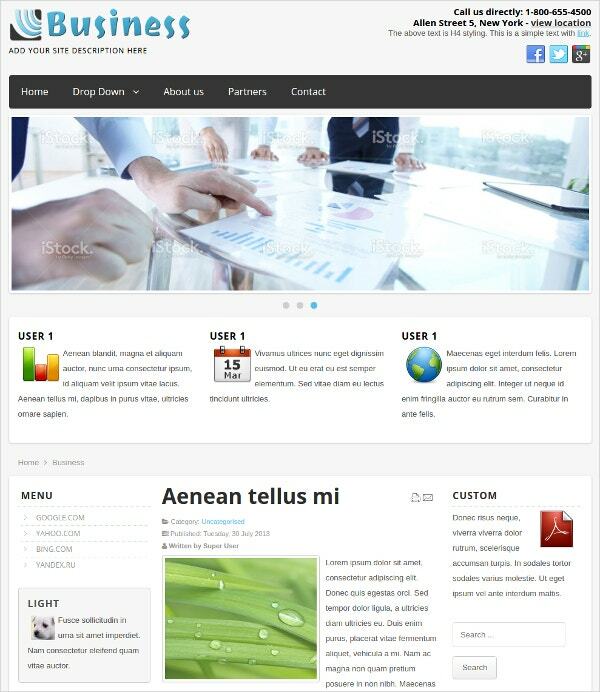 This theme is highly responsive and very user-friendly. Do you like looking at websites and seeing your actual desk? If you do then this theme will work just fine. Creative IQ mimics the look of your working space by displaying items that you usually see on your desks like your mobile phone or laptop. If only we can be this organized. 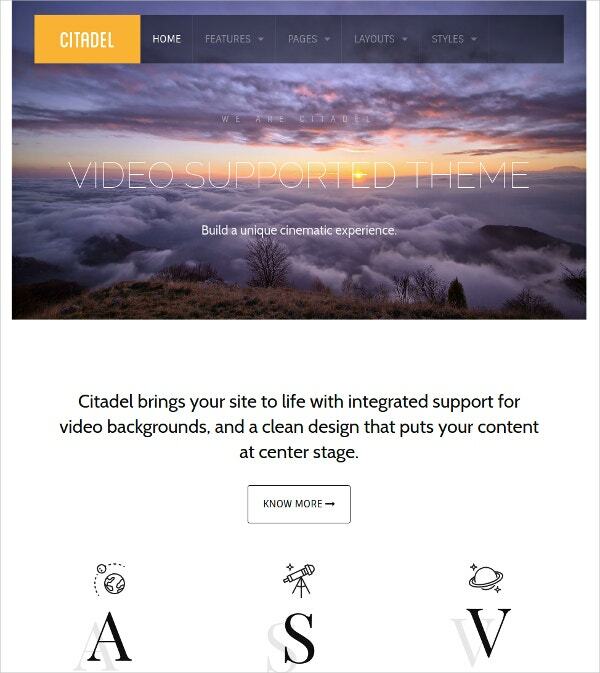 Some of the wonderful features of Citadel include video support, pop-up module, and custom typography among many others. It’s like all you need to have in your website is already in this theme. You can imagine that customizing this is exciting. Citadel makes sure that content is at the center stage. Do you love aircrafts and does talking about them gives you an exhilarating feeling? We hope LT Aircoms will give us that kind of exciting feeling. 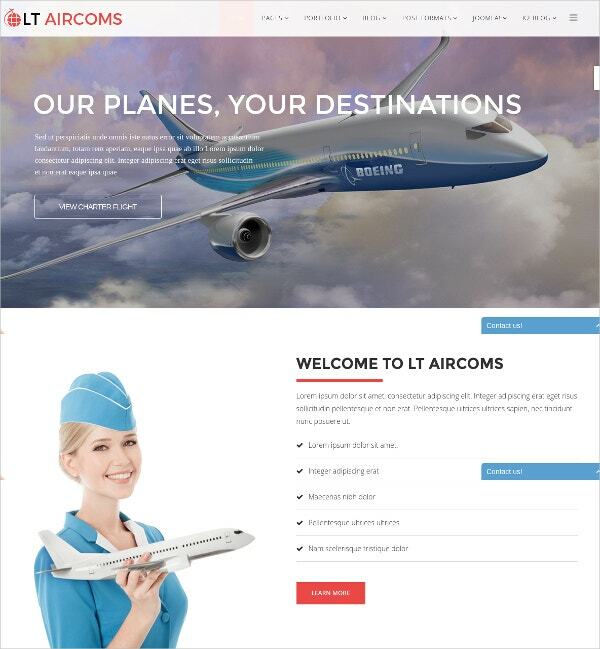 This theme targets airplane and air transport services but we think they can also be used for almost anything. Especially if you love flying. Willpower is perfect for industrial themed websites. True to its name, we hope Willpower will inspire other people’s willpower to produce progressive content in their blogs or websites. It might seem a little manly but we believe that you can use it for any type of blogs or websites as well. 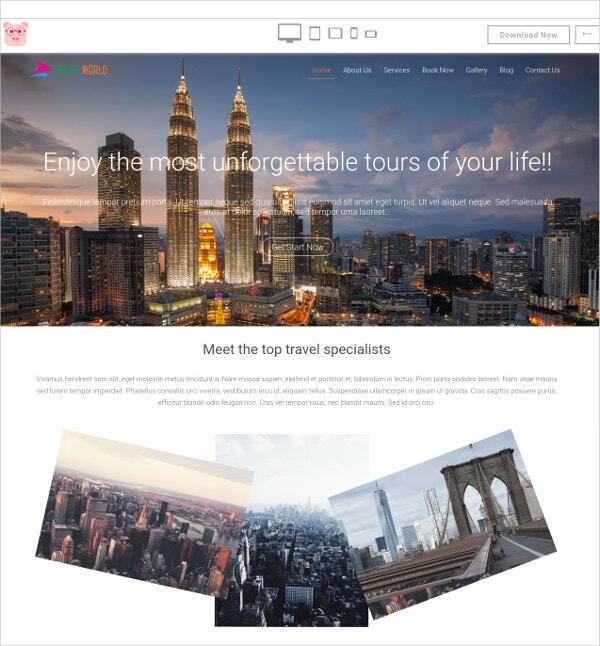 Travel World is another website template designed for people who just can’t get enough of the world and travelling. 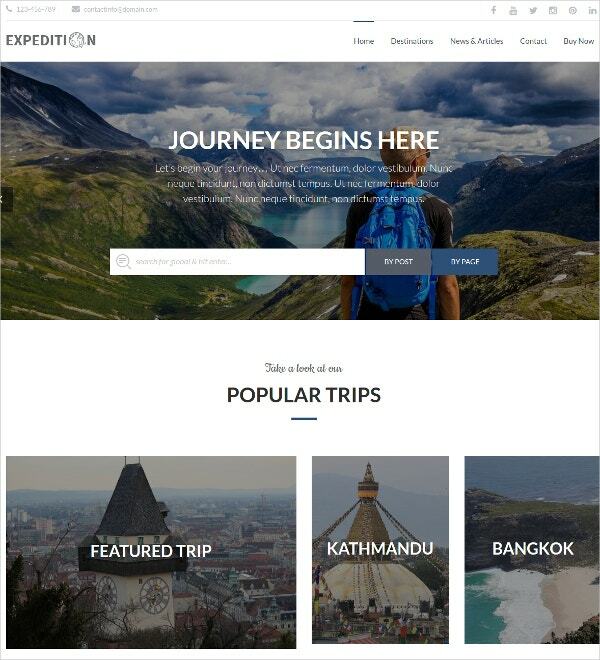 Like other travel website themes, you can also use this for your personal blog or even small business websites. It is highly responsive and it’s compatible with all modern web browsers. Even if you haven’t thought of creating your very own website, just looking at these themes and what it can do for you can actually inspire you to make one. Just imagine all the contents you can share and the people you can bring happiness to if you have themes such as these. 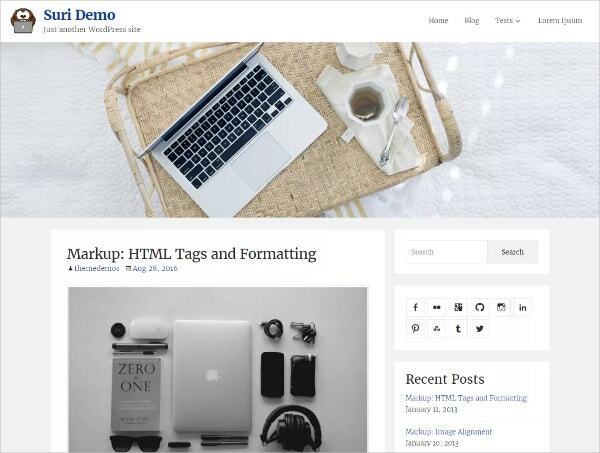 You can also see Free WordPress Templates.